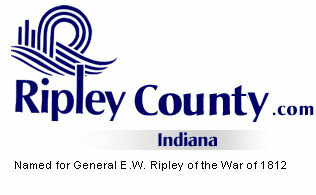 The Ripley County Council met on Tuesday, October 21st, 2003 at the Ripley County Annex in Versailles , in. Don Dunbar, Ripley County Council President called the public meeting to order promptly at 7:00PM with Council Members Dephane Smith, Lawrence Nickell, Juanita Bauer, William Dramann, David C. Simon and Edward Armbrecht in attendance. This is a public meeting of the Ripley County Council. Council Member Smith made the motion to approve the minutes of Sep3rd/10th/12th & 16thth, 2003 and seconded by Council Member Nickell. Motion approved unanimously. Council Member Armbrecht made the motion to approve the additional appropriation of $49,490 from the Inn Keepers Tax fund for the Ripley County Tourism Bureau and seconded by Council Member Nickell. Motion approved unanimously. Council Member Armbrecht made the motion to approve the additional appropriation of $7,589 from the RSRF Grant for Ripley County Department of Parks & Recreation and seconded by Council Member Simon. Motion approved unanimously. Council Member Dramann made the motion to approve the transfer of funds for Ripley Superior Court Judge/James Morris in the amount of $1,500 from Acct# 100-36101-000-022 Computer Repairs to Acct# 100-44100-000-022 Law Library and $500 from Acct# 32700-000-022 Mileage& $500 from Acct#100-32600-000-022 Training & $300 from Acct# 100-32900-000-022 Printing to Acct# 100-25300-000-022 Office Supplies. Council Member Bauer seconded the motion to transfer funds. Motion approved unanimously. Council Member Nickell made the motion to approve the transfer of funds for Ripley Circuit Court Clerk/Ginger Bradford in the amount of $3,800 from fund#100-25300-000-001 Office Supplies to Capital Outlays and seconded by Council Member Bauer. Motion approved unanimously. Council Member Armbrecht made the motion to approve the transfer of funds for the Ripley County Highway Department in the amount of $12,950 from Acct#278-32490-000-278 Stone to Acct#278-32520-000-278 Bituminous and $19,330 from Acct# 201-32520-000-026 Bituminous to Acct#201-32490-000-026 Stone. Council Member Simon seconded the motion. Motion approved unanimously. Council Member Smith made the motion to approve $1,500 from the Commissary Funds for the Ripley County Sheriff to pay for the Department’s Annual Employee & Reserve Deputy Recognition Dinner and seconded by Council Member Nickell. Motion approved unanimously. Council Member Smith made the motion to approve the transfer of $3,000 from the County Misdemeanant Fund to Part Time Cook and seconded by Council Member Armbrecht. Motion approved by six Council Members (Armbrecht, Smith, Simon, Bauer, Dunbar & Nickell) one Council Member abstained (Dramann). Scott Melling, EMS Director advised the Council that the billing is almost complete and that he had 18 applications out, with 9 returned. Melling also updated the council on the grant with Rising Sun Foundation and advised that it had been deferred to next round. He advised that the property they were looking at had not worked out and that he had found another piece of property in Delaware with a house on it. Council Member Smith made the motion to adopt the Resolution Of Interest In Purchasing Property For Housing EMS Service and seconded by Council Member Simon. Six Council members (Bauer, Simon, Smith, Nickell, Dunbar & Dramann) approved the motion and one Council Member (Armbrecht) voted against. Ripley County Commissioner, John Little advised the council member that the cost of the Jail & 911 was $2,878,653.46 & Engineering Fees $168,000 with a total cost of $3,046,653.46. Council Members advised that no motion was needed to distribute the $167,000 wagering tax to the units. Sheriff, Bill Davison advised the council members that in doing the budget for the Sheriff’s Office $30,000 was left off the budget for overtime. Council members advised that they couldn’t correct this till 2004. Economic Development- Chuck Folz advised that the Economic Development Meeting is the 2nd Wed of the month @ 6:00PM and invited Council Members/Commissioners to attend the meeting. Folz also updated the council on loss of jobs in the county. Grants Committee-Donald Dunbar advised that we have the Video grant for $10,000. The EMS grant rolled to next time and a grant for $2,500 for Laminated Maps are currently out. Solid Waste District-Donald Dunbar advised meeting adjourned till next time (not enough in attendance) & that the recycling day (good Day) several tires received. EMS Advisory Committee-Dephane Smith advised that Scott reported everything she had. Council Member Armbrecht made a motion to authorize the County Auditor to notify the County Office Holders & Department Heads that all encumbrances are to be in the Auditor office by December 10th and that they have got to be accompanied by an invoice, purchase order or contract and will be considered at the regular meeting on the 15th of December by the Council. Council Member Bauer seconded the motion. Motion approved unanimously. Council advised that the November meeting would be the last meeting to do transfers/additional appropriations. Ripley County Council Member Dramann made the motion to adjourned until the next regular meeting on November 18thst at 7:00PM in the Ripley County Annex, Versailles , In., seconded by Council Member Smith. Motion approved unanimously.